In addition to the Lyme bacteria, Borrelia burgdorferi, ticks may carry and transmit other bacteria and viruses. In the United States, there are currently over a dozen recognized tick-borne pathogens and scientists may not have identified all the organisms that ticks may carry. It is possible for a person or animal to be infected with more than one of these pathogens at the same time from a single tick bite, and treatment may be different for the various diseases. In areas of the country where more studies have been performed, the number of ticks co-infected with organisms other than B. burgdorferi are between 2 to 26%. Patients in these areas have co-infection rates between 49% and 60%. It has been reported that 80% of people who are infected with more than one tick-borne disease have both Babesia and Lyme (Bb). In the Southeast, further research is clearly needed to evaluate patients, animal reservoirs, organism strains, and tick vectors before we can conclusively determine how many patients are truly contracting these associated illnesses, sometimes referred to as co-infections. Treatment of different tick-borne infections often varies. Some antibiotics may be effective against one type of organism, while ineffective in treating another. Proper diagnosis is, therefore, essential. Some physicians who specialize in treating tick-borne infections report that it may be quite difficult to get Borrelia burgdorferi, or Lyme disease, under control in patients until any underlying TBDs are addressed. They indicate that patients who have more than one TBD often take longer to recover, have more symptoms and appear far more ill. Healthcare practitioners and patients should be advised that some of the tests for other TBD infections may also be problematic. Although not every tick bite will cause disease, one cannot tell by looking at a tick whether it is harboring a pathogen. It is, therefore, crucial to practice good preventative measures and proper tick removal for every tick bite. Anaplasma phagocytophilum is another bacteria that may be transmitted to humans by infected ticks. It has been identified in the Southeast. 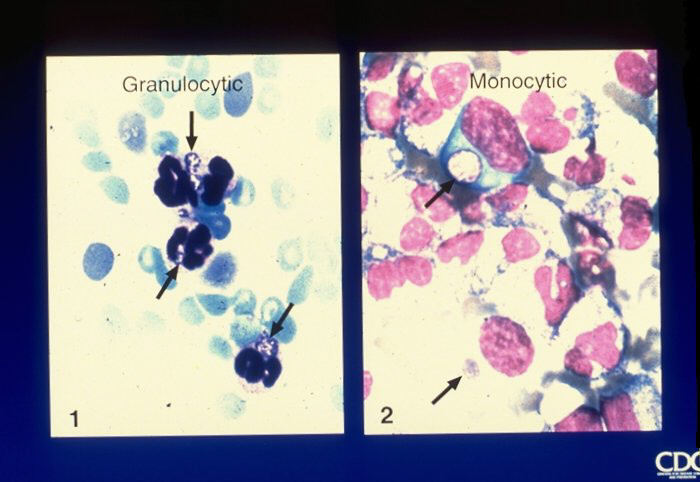 Anaplasmosis was previously known as human granulocytic ehrlichiosis (HGE) and human granulocytic anaplasmosis (HGA). 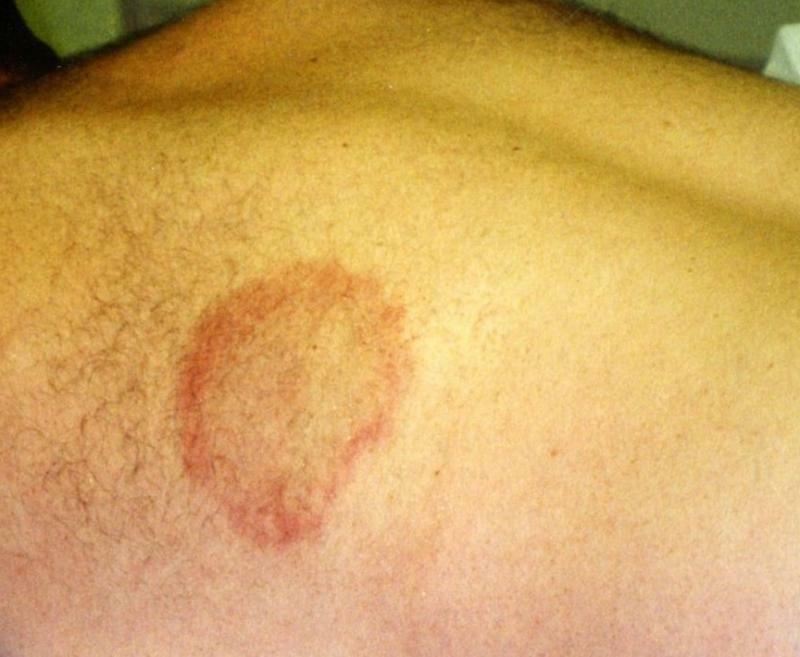 Onset of symptoms begins 5 to 21 days after the tick bite. Symptoms may appear mild and viral-like, and include headaches, fevers, chills, vomiting, lung infection, and muscle aches, making it difficult to diagnose because it so closely mimics other illnesses. Your doctor may look for elevated liver enzymes, a low white blood cell count, and low platelet count. Tests look for antibodies against the bacteria and PCR tests may be used to detect the presence of the bacteria. Doxycycline is usually prescribed to treat this illness. Untreated, Anaplasmosis may cause serious complications, including cranial nerve palsy, seizures, encephalopathy, meningitis, and even death. Babesiosis (piroplasmosis) is a malaria-like illness caused by a parasite that infects red blood cells. The known vector in our area is the deer tick, Ixodes Scapularis, and cases have been documented here in Georgia. The CDC has reported some cases of Babesia that were acquired from blood transfusions. Symptoms generally occur 1 to 8 weeks after the bite of an infected tick and may be mild in some individuals. In others, symptoms may be similar to Lyme disease, but begin with high fever and chills. Headaches, fatigue, general lethargy, anemia, sweats, muscle pain and malaise often occur. Tests for Babesia infection may include an IFA, FISH and/or PCR. Treatment protocols previously recommended oral or intravenous Clindamycin with oral quinine; however, recent research has documented treatment regimens that increasingly lean towards oral Atovaquone with oral azithromycin. The latter medications are reported to be equally effective and exhibit fewer associated adverse reactions. In mild cases of Babesiosis, patients may spontaneously recover. In severe cases, a blood transfusion may be necessary. Babesia microti and Babesia duncani have been reported to infect humans in the Southeast. These require their own individual tests, as a test for B. microti may not detect B. duncani. Over 20,000 cases of disease caused by the Bartonella family of bacteria occur each year in the United States. The most commonly known Bartonella infectious disease is “cat scratch fever.” Although most cases are due to flea bites from infested, infected animals; cat or dog bites or scratches may also directly cause the illness in humans. Studies in recent years have found Bartonella and Bartonella-like microorganisms, which live inside cells, in some species of ticks. Scientists suspect that ticks may be transmitting Bartonella to humans. Further studies are needed. Reported symptoms from suspected tick-borne Bartonella henselae may include unusual streaked rashes often recurring on the body, visual problems, fatigue with agitation, poor sleep, joint and muscle pain and stiffness, low grade fevers, sweats, headaches, recurring sore throat, lymph node enlargement, lower abdominal pain, ringing in the ears, anxiety, panic disorder, irritability, rage, seizure disorder, tremors, and other neurological problems. Diagnosis is made clinically; antibody titers and PCR analysis may be helpful but are not always sensitive. A new Bartonella test was developed recently by Dr. Ed Breitschwerdt, researcher at N.C. State. Physicians may visit Galaxy Labs' website to learn more. Prescribed treatment is often quinolone and tetracycline. There are two types of Ehrlichia currently known to infect humans in the United States and most cases have been reported in the Eastern, South Central and Southern United States. Ehrlichia chaffeenis causes HME-human monocytic ehrlichiosis. Cases of Ehrlichia ewingii have been identified in humans, as well. Lone star ticks (Amblyomma americanum) are the most common vector of Ehrlichia, although other ticks may transmit it as well. For the most part, cases tend to be seen in the spring and summer months. 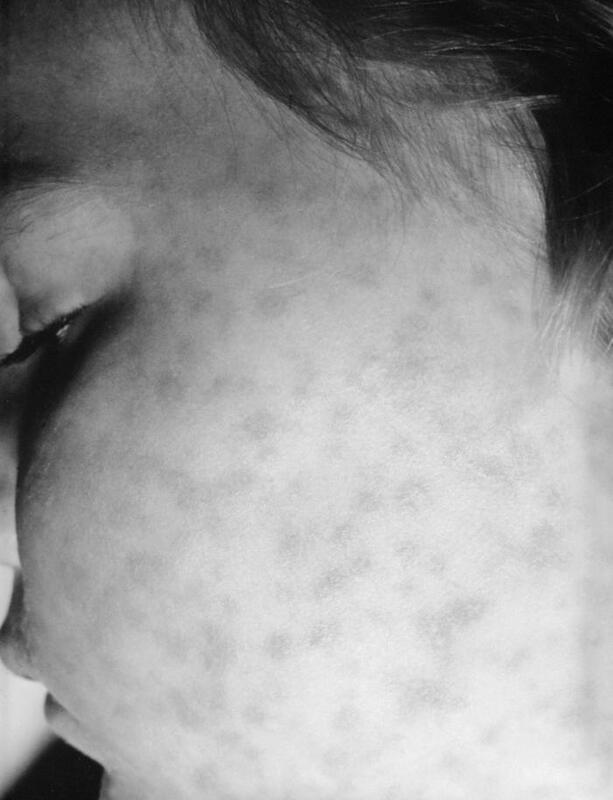 This illness is often called “the spotless Rocky Mountain spotted fever,” and like RSMF, it is a rickettsial disease. Typically, symptoms appear 5 – 10 days after a tick bite. Characteristics include high fevers and headache, malaise, confusion, nausea, muscle aches, lack of appetite, and in about 20% of cases, a rash. Ehrlichiosis can appear as a mild illness, but may cause severe complications in some patients, such as low white blood cell count, low platelet count, anemia, kidney failure, encephalitis (inflammation of the brain), respira-tory failure and even death. Tests for Ehrlichiosis usually involve blood smears, but due to their variability, the disease is often clinically diagnosed based on other signs and symptoms. IFA and PCR tests may prove helpful. Treatment of choice is usually doxycycline. Ehrlichiosis is a disease that is monitored by the Georgia Division of Public Health. Q fever is a disease caused by the bacteria Coxiella burnetii, which can be found in cattle, sheep, goats, dogs, cats, rodents, birds and ticks. The illness is found around the world but mainly in farmers, veterinarians, and sheep and dairy workers. Symptoms usually develop about 20 days after exposure to the bacteria. If left untreated for several months, the infection may become chronic. Among other symptoms, Q fever may cause chest pain, cough, shortness of breath, fever, headache, jaundice, and muscle pains. Persons with highest risk of complications include those with heart valve problems or weakened immune systems. Treatment is normally with antibiotics; in chronic illness, long-term antibiotics and hydroxychloroquine are often used. Borrelia miyamotoi is a relapsing fever group spirochete that was discovered in Japan in 1995. Russian scientists recently found that it is indeed infectious to humans. This pathogen is found in Ixodes scapularis "deer" ticks and Ixodes pacificus ticks and has been documented in the Southeastern United States. Researchers reported finding B. miyamotoi in Tennessee turkeys in 2010. Russian researchers report this illness has symptoms consistent with other relapsing fever infections including fever, headache, and sometimes a rash. As the name suggests, a high fever may be relapsing or recurring in nature. Patients responded well to ceftriaxone or doxycycline therapy. Found in lone star Amblyomma americanum and the American dog tick Dermacenter variabilis, Rickettsia amblyommii has been documented in high percentages of ticks in some areas of the Southeastern United States. In one North Carolina study, 56% of lone star ticks collected were infected with R. amblyommii. It is prevalent in ticks in Georgia. In 2008, it was confirmed as a human pathogen. 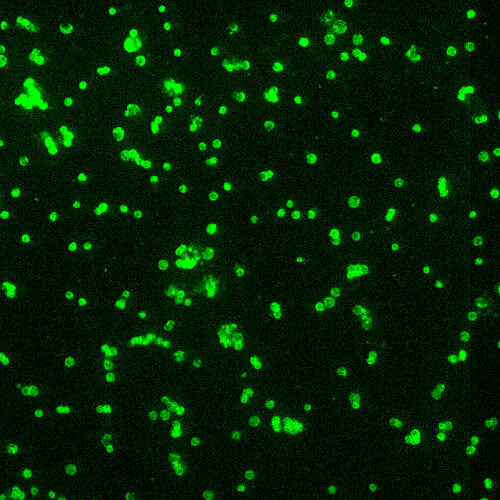 R. amblyommii is part of the spotted fever group and a cause of rickettsiosis in the U.S. It is thought to be cross-reactive with Rocky Mountain Spotted Fever in testing. The disease is still being studied in humans. Recommended treatment is said to be identical to that prescribed for Rocky Mountain Spotted Fever (see below). 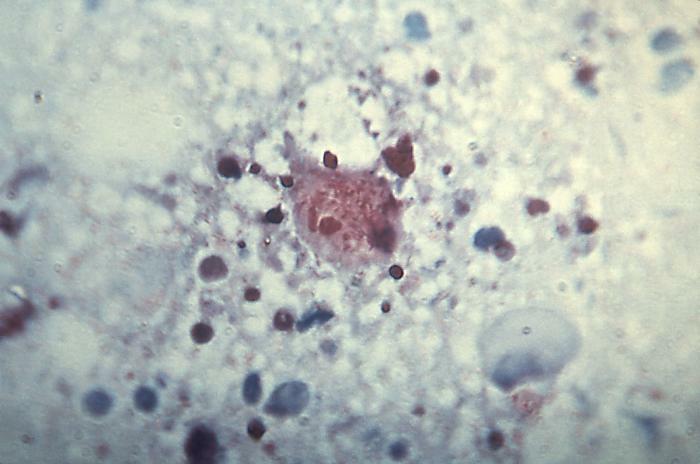 Another spotted fever rickettsiosis, R. parkeri was discovered in 1937, however, it was only identified as a human pathogen in 2004. This disease is carried by Gulf coast ticks, Amblyomma maculatum and has been found in ticks in states across the South. It has been referred to as, American Boutonneuse Fever and Tidewater Spotted Fever. Symptoms may include an inoculation eschar which resembles a sore or pimple; a maculopapular rash, fever, fatigue, muscle pain and a generalized rash. Gastrointestinal problems have been reported but infrequently. There is no test yet but like other rickettsia, it may cross-react with the RMSF test. Treating early is essential as a delay in RMSF diagnosis and treatment can prove deadly. Rocky Mountain spotted fever is caused by a bacterium called, Rickettsia rickettsii. This organism is in the same family as ehrlichia and symptoms can be similar. The tick vectors that are known to transmit this infection are the American dog tick (Dermacentor variabilis) and the Rocky Mountain wood tick (Dermacentor andersoni). Over half of the reported cases occur in the south central region, but the infection is found across the continental United States with the highest incidences reported during the months of April through September. Symptoms, which generally occur 5 to 10 days after the bite of an infected tick, can be severe and even life-threatening. They may include fever, nausea, vomiting, and lack of appetite, along with headaches and migrating pains. About six days after initial symptoms present, a characteristic rash usually begins on wrists, ankles, palms and soles. Approximately 10% to 15% of patients may never get this rash. The organism infects the cells lining blood vessels throughout the body, and in some cases, symptoms may be severe and even cause long-term health problems. Patients often require hospitalization. The CDC states that, treatment decisions should be based on epidemiologic and clinical clues, and should never be delayed while waiting for confirmation by laboratory results. Currently, the most common test used to detect this infection in humans is called an indirect immunofluorescence assay (IFA). The most rapid and specific tests for Rocky Mountain spotted fever are PCR's which can detect DNA of the pathogen. In the 1940's, it was discovered that Tetracycline could be used to treat RMSF, prior to that, nearly 30% of those infected with RMSF died from the disease. Other spotted fever rickettsia species have been documented in the Southern United States including R. montana and R. cooleyi. Far more research funding is needed to study these diseases in humans. Just a fancy name for Lyme disease transmitted by lone star ticks (Amblyomma americanum) and first documented in the Southeast by Dr. Ed Masters of Missouri. STARI stands for Southern Tick Associated Rash Illness, however the name is entirely inappropriate since, in a 1978-1982 study, CDC researchers found that 96% of ticks collected in a New Jersey county during peak Lyme disease incidence months of May, June and July were lone star ticks. Fewer than 2% were deer ticks. Lone star ticks were also identified on Long Island, in Connecticut and in other northern states soon afterwards and have been reported for years by Canadian Lyme disease patients, as well. This makes it likely that many patients with erythema migrans rashes and Lyme disease symptoms in the Northeastern United States, including those evaluated in Lyme disease research studies, may have been lone star tick-vectored Lyme disease cases. Because the organism that causes this infection in humans has not yet been positively identified, there continues to be much speculation about it. Lyme borrelia have been found in lone star ticks by many scientists, but due to very limited animal studies performed 12-15 years ago (using only a few Lyme disease strains), researchers may have jumped the gun when they discarded the idea that lone star ticks may transmit Lyme disease to humans. For a time, some suspected that bacteria called, Borrelia lonestari, might be causing the illness, which often begins with an EM lesion and symptoms identical to Lyme disease. Borrelia lonestari has been identified in many lone star tick specimens. However, Borrelia lonestari has only been isolated from a single human case among many studied subjects and may have actually come from the attached tick in that case, not from the patient. Additionally, Borrelia lonestari is a relapsing fever type spirochete, but patients who contract this disease commonly report Lyme disease symptoms. Some even report positive western blot test results. Scientists have found numerous strains of Borrelia burgdorferi in tick and animal specimens in the southeastern United States (including the lone star tick (see Stromdahl et al., Table 5). In fact, they have identified more strains and species here than even in the North, and some are suspect pathogens. Most of these have only been identified by molecular PCR tests. The majority cannot be grown in BSK II media to be studied. It remains to be seen whether this illness, Masters' disease/STARI, is caused by one of these unculturable strains or species of Borrelia burgdorferi or another infectious agent. In one Georgia/South Carolina study, borrelia-like organisms were seen in skin rash samples of patients. Some patients in this study tested positive for Lyme disease while others did not. For further information about Masters' disease/STARI, we suggest reading Chapter 28; Hole in the Donut: The Fight over Southern Lyme, in Pamela Weintraub’s book, Cure Unknown: Inside the Lyme Epidemic. Almost any type of embedded, pregnant female tick may cause this condition. Tick paralysis is not a true infection, but a type of poisoning that usually affects animals. It sometimes occurs in people. During the feeding process, the tick injects a neurotoxin produced by its salivary glands into its host. Symptoms usually begin two to seven days after the tick attaches. Weakness in the legs soon progresses to paralysis that creeps up the body, sometimes affecting the nerves that control the lungs. This illness can be life threatening and occasionally ends in coma or death, however, the cure is simple: remove the attached tick and the symptoms resolve themselves within hours or days. Infected Lone Star, wood and American dog ticks, which are generally active from April through September, can pass the tiny bacterium called, Francisella tularensis, that causes Tularemia. Biting flies and mosquitoes may also transmit this infection, which is common in wild rodents. A person may be infected through direct contact with an infected animal (through a break in the skin) and, rarely, from ingesting infected meat. In the United States, human cases of Tularemia are rare. Symptoms may range from a mild flu-like illness to full blown shock and can include headache, fever, nausea, faintness and enlarged lymph nodes. Chills, muscle and joint pain, sweating, weight loss, and shortness of breath are also common. Sometimes, pneumonia occurs. Streptomycin and tetracycline are generally used to treat this infection. Antibiotic treatment is usually successful, but relapses may occur in those who don’t complete the full prescribed course of antibiotic therapy. Scientists recognize over a dozen tickborne diseases in the United States and are still working to determine whether they have identified all the organisms that ticks may carry. A tick, engorged after feeding. The female Lone Star tick has a distinctive white dot on her back; the male does not. This tick can transmit Ehrlichiosis, Babesiosis, Tularemia, and can cause Tick Paralysis. Could it also possibly transmit one of the hundreds of strains of Borrelia burgdorferi, also known as Lyme disease? Rickettsia rickettsii, more commonly known as Rocky Mountain Spotted Fever. The skin rash or erythema migrans often seen in Masters' Disease looks remarkably like the EM seen in Lyme Disease. Many believe it may be caused by another Lyme borrelia species. Francisella tularensis, the infectious agent that causes Tularemia, also known as "Rabbit Fever".